The Most Famous Corporate Logo Of All Time Was Designed By A 21 Year Old Student… For $35. Picture this: The year is 1971. You're a 21 year old student at Portland State University finishing up a degree in graphic design. One day, an accounting professor approaches you with a potential freelance job opportunity. Outside of teaching accounting, this bearded young professor also runs a small business in his free time called Blue Ribbon Sports. Blue Ribbon Sports bills itself as an "athletic footwear company", but they mainly re-sell imported shoes from Japan. Knowing that you're a graphic design student, the professor explains that his company is about to change its name, and is looking for someone to come up with a new corporate logo. How much would you charge? $100? $200? $500? $1000? Let's take the high number, $1000. Even in 2014, that would probably be an awesome payday for one simple freelance job. Especially for a college student. So you design the logo and earn your $1000. You're flush with beer and pizza for at least a few months. Slam dunk. Fast forward a couple years… How would you feel if that $1000 design ended up becoming the most famous corporate logo of all time and one of the most recognizable symbols on the planet??? Regret? Pride? Mixture of both? "Excuse me, are you the one who can't afford to take oil painting?" Eventually, Blue Ribbon's deal with Onitsuka soured and then expired altogether. 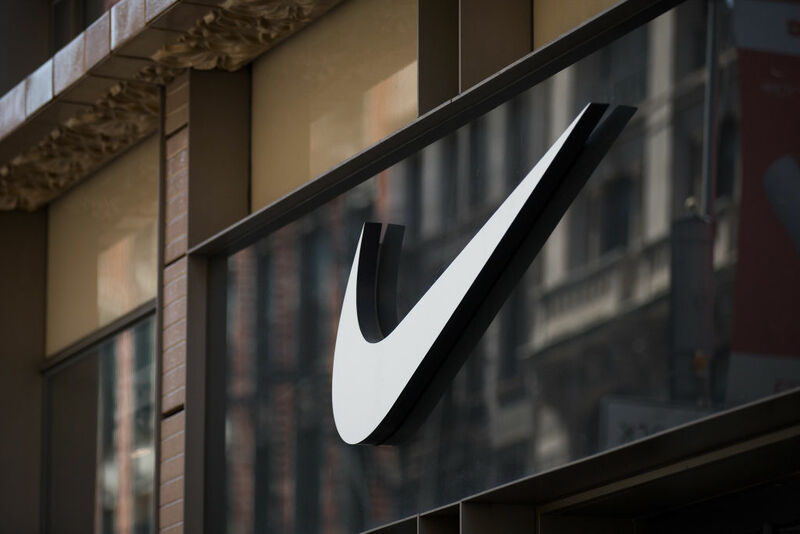 Fortunately, by this point Phil's co-founder, University of Oregon track and field coach Bill Bowerman, had been designing shoes of their own that the company could sell direct to consumers. Bowerman's most famous early-innovation was using his wife's waffle-iron to create light-weight rubber soles that gripped the track better than any other shoe at the time. When the Onitsuka deal died, Phil Knight decided Blue Ribbon needed to be re-branded with a shiny new name and shiny new logo. Knight wanted to call the company "Dimension 6", but an early employee suggested they use the name "Nike" instead. Nike is the Greek Goddess of victory. The name stuck. For the logo, the only instructions Knight gave Davidson was that it should convey motion and could NOT look too much like Adidas' three stripes, Puma's puma or Onitsuka's tiger. The price both parties agreed upon for the logo job? $35 dollars. Let me repeat that. Carolyn Davidson was paid $35 to design what would eventually become the most famous logo of all time. "Well, I don't love it, but maybe it will grow on me." 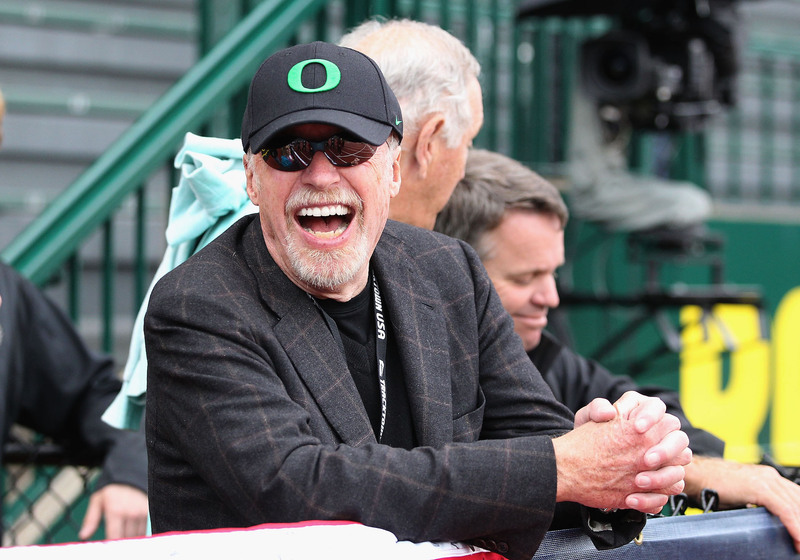 Three years after going public, Carolyn was invited back to the company's headquarters to have lunch with Phil Knight and company President Bob Woodell. When Carolyn showed up, she discovered that the lunch was actually a big party in her honor. At the party, Phil presented her with a gold ring in the shape of her Swoosh that was decorated with a small diamond in the logo's curve. As Davidson started to cry with happiness, Bob Woodell handed her an envelope. The envelope contained 500 shares of Nike stock. At the time, Nike was trading at $17 a share so this represented an $8500 gift (which is worth $20,000 after adjusting for inflation). And while that may not seem like a lot, Carolyn never sold a single share. Fast forward three decades and Nike's stock has had four 2-1 splits. That means Carolyn's original 500 shares are now 8000 shares. Today, Nike closed at $72 dollars per share, which means Carolyn's stake today is worth $586,000! "I like it. I really do. I never get tired of looking at it." Yes it was hideous, but it was also very functional and allowed me to see if this idea had legs without investing my life savings ($3000 at the time). After a few months, the idea did seem to have some potential, so I decided it was time to pay for a higher quality design. I hired a designer in Texas named Nick who runs a company called Think Four Graphic Design out of Houston (google them if you're in the market for a designer, highly recommended). I found Nick because he was profiled on a wordpress design blog that I visited a few times. I found his company's website and sent a cold email asking for a quote. The price we agreed on was $900. Roughly 1/3 of my net worth at the time. Pretty awesome, right? And honestly not that different from what you see today, four years later! Also, note the little piggy bank logo? I remember Nick telling me that he threw that together sort of on a whim and wasn't sure if I would like it at all. But I loved it! "I saw the segment on Tosh.0 about Celebrity Networth!!! It was crazy. I was watching TV, and then they showed a logo I did! I bet it was 100x cooler for you, ha. Congrats man, thats really, really awesome." Post script: I sent Nick a link to this article late last night using an email that he hopefully still checked, and he just wrote back! Maybe we'll find something new to work on together now. Appropriately, Nick ended his email with: "Heres to hoping CNW makes you a billionaire 😉"
According to prosecutors in the Sothern District of New York, Avenatti hatched an extortion scheme to get Nike to pay him between $15 million and $25 million. Spencer Haywood once had the opportunity to get in on the ground floor of Nike. Instead, he chose a smaller cash advance – a move that ended up being not so smart in retrospect. Looking back at the stock market and investing imaginary money in the past is a little like playing old lottery drawings for fun, but it can also be instructive with regards to a particular stock's performance.